Scotland has become one of my favorite travel destinations in Europe. Why? The people are friendly, the scenery is stunning and I have fallen in love with Edinburgh, a city I can’t wait to head back to. Without question, you have to see more places in the United Kingdom, like England, but do not forget to visit England´s neighbor! If you enjoy nice people, gorgeous landscapes, beautiful cities and cute towns you will love Scotland as much as I do and so you should put it on your bucket list. Though I did squeeze a lot into my Scotland trip, I didn’t get to see all of Scotland and so I asked a few travel bloggers to share their recommendations for the best places to see in Scotland with us. So, here are some of the best places to visit in Scotland. To see some of the best of Scotland you have to visit Edinburgh! 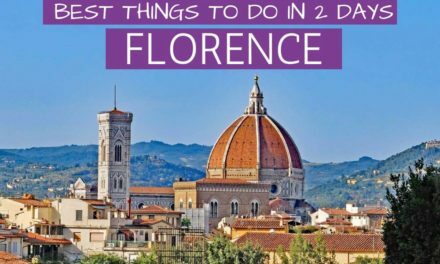 It is one of those cities I knew I would like but had no idea I would fall in love with. It’s cobblestoned, green, old, and new. You can almost see the history of the city while you are walking through it. It’s also a smallish (population: 507,000) city and easily walkable. There are a wide variety of things to do in Scotland, and Edinburgh is a prime example of this. Edinburgh is the capital of Scotland and the center for medicine, engineering, art, law, and literature. J.K. Rowling wrote most of the Harry Potter books here and you can follow the Potter Trail to places that inspired her. A spooky graveyard tour shows you the old underbelly of Edinburgh when it wasn’t such a lovely place, especially if you were poor. The Holyrood Palace is the Scottish residence of the Royal Family and when they aren’t there, tourists can poke around their home and see how they live. While it can’t be argued that it is one of the best cities in Scotland, Edinburgh is also a city of nature. 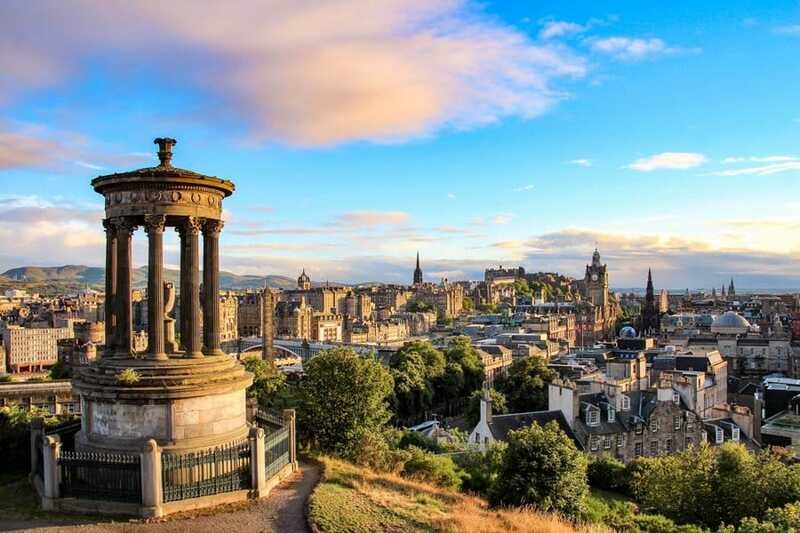 From the hike to Arthur’s Seat, which overlooks the city, to another viewpoint atop Canton Hill, to parks and greenways interspersed throughout the city, to the Royal Botanic Gardens there are plenty of places to soak in a little Vitamin N.
As you will see if you visit, Edinburgh is such a great all-rounder that it’s one of the best holiday destinations in Scotland. 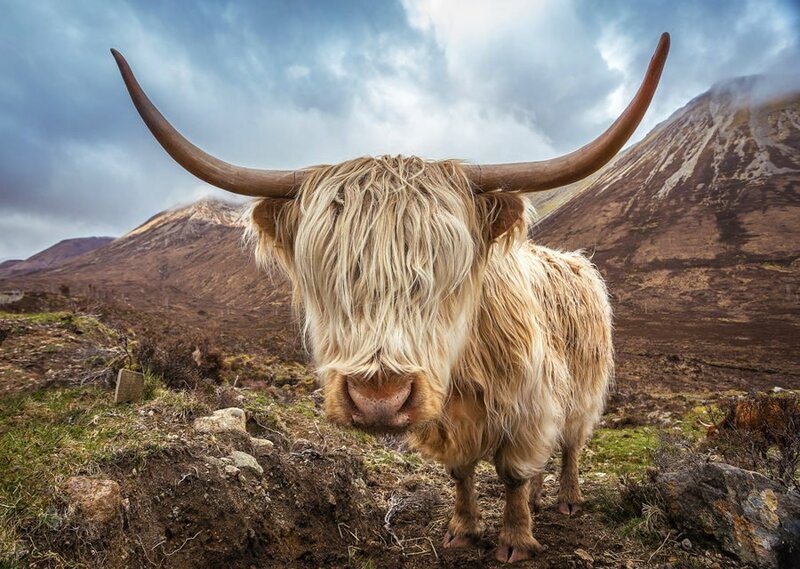 Scotland’s Highlands are stunning and that is no secret. What is lesser known is that a trail around the tranquil beaches, rugged mountains, and cute fishing villages is Scotland’s answer to Route 66. The North Coast 500 (NC500) is the UK’s hottest road trip and takes you through some of the most beautiful places in Scotland. The NC500 starts at the Highland’s capital, Inverness, all the way around the coast to John O’Groats and back down to Inverness again, bypassing white sand beaches, golf courses, caves, distilleries and castles! You can even sleep in one but book fast as the North Coast 500’s accommodation sells out quickly during ‘summer’ with thousands taking on the route by car, campervan and even by bike. To the west of Inverness is the infamous Bealach na Bà. Signs warn drivers of this crazily hilly yet scenic A (single track) road, a must for any driver who likes to feel the bends with a thrill. Passing places allow cars to get by and some are a tight squeeze. If adventure is your thing, this could be one of the most fun things to do in Scotland! Another of my must-see places in Scotland is the destination at the end of the Bealach na Bà – Applecross, a beautiful small peninsula in Wester Ross. Further afield is tiny Torridon, and Ullapool; a bustling village packed with musicians and artists. Heading north to Durness to take a tour of Smoo Cave or a boat ride on Cape Wrath then on to the Stacks of Duncansby to the distilleries of the east. The NC500 takes two days’ fast-paced drive or two weeks at a leisurely speed. One thing is for sure, the NC500 will show you some of the best sights in Scotland. The Scottish Highlands are among my all-time favorite places in the UK. I’ve been fortunate enough to visit the Highlands on multiple occasions and will never tire of going back. There are quite a few ways to visit the Highlands, but I personally opted to take two separate day tours to the Highlands, both leaving from Edinburgh and included slightly different routes. Though I never quite made it up very far, deep into the Highlands, my one-day tours did allow me to scratch the surface. Some of the highlights of my tours included Rosslyn Chapel, Doune Castle, Loch Lomond, Inverary Castle, Kilchurn Castle, and Melrose Abbey. Some of these locations are quite popular with visitors: Rosslyn Chapel was famously mentioned in the book the DaVinci Code, Doune Castle was used in the filming of Monty Python & The Holy Grail, Outlander, and Game of Thrones, and Inverary Castle was used in one of the Downton Abbey Christmas Specials. It is really cool to see some of these places in real life! Personally, I really loved visiting Inverary Castle (it’s quite stunning) and Trossachs National Park – as it is one of the most beautiful places I’ve ever seen. I venture to say that one short trip to Scotland will only wet your appetite and you’ll daydream of going back, just like me. 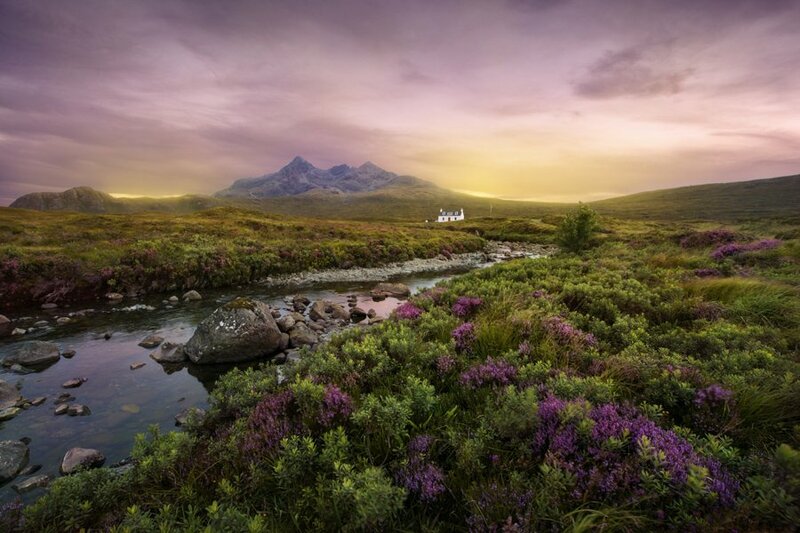 One of the most beautiful places to see in Scotland is the famous Isle of Skye, the second largest island (and one of the most scenic places) in Scotland. Not only is the Isle of Skye beautiful but if you are looking for something with an ‘other worldly’ feel then this might be one of the top places to see in Scotland. The glaciers, wind, and landslides have shaped the dramatic and enchanting landscapes and you might often wonder if fairies are going to fly around you or trolls stand up from the Earth. There are indeed many legends surrounding the geological formations of the island. 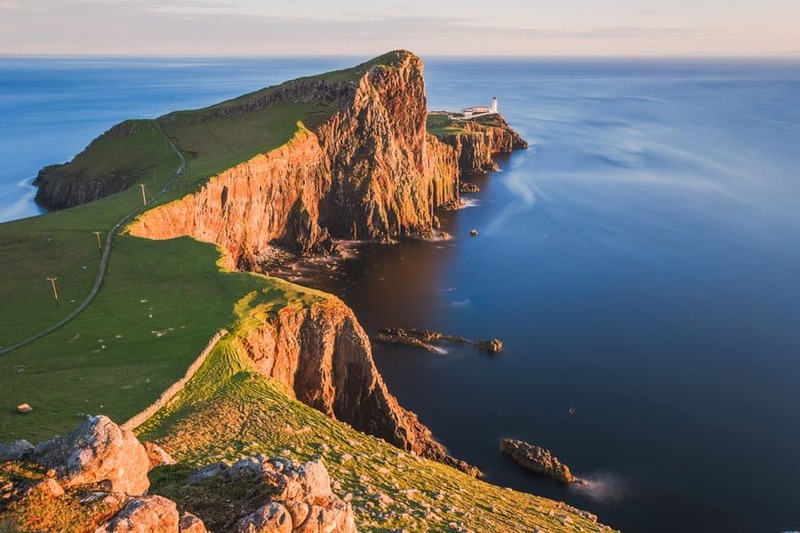 The most visited spots are the pinnacle of the Old Man or Storr, Kilt Rock and its waterfall plunging into the sea as well as the sparkling Fairy Pools for their crystal-clear waters and the dramatic peninsula of the Nest Point Lighthouse. My favorite locations are off the beaten track: the magical scenery of Fairy Glen, the wilderness of Loch Coruisk (accessible only by boat or hiking) and the under-appreciated Loch Langaig. I recommend you stay in Portree, where you can find anything you need. The island is bigger than it seems and Portree is quite central and practical for visiting all areas. Since there are over five hours of driving from Edinburgh to Portree, you cannot visit it on a day trip. I recommend planning a minimum of three days to soak in the beauty. 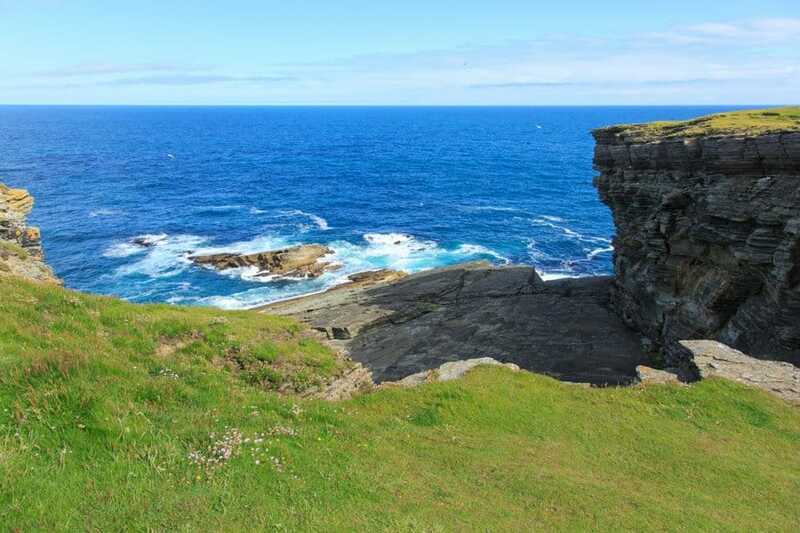 Another of the top things to do in Scotland is to take a visit to the Orkney Islands. The Orkney Islands are an archipelago that is situated to the northeast of the mainland. The Orkneys are the perfect place for any history buff. The history of these tiny islands dates back to Neolithic times, you can even get right up close and experience these Neolithic structures. One of my personal favorites is the 5,000-year-old Tomb of the Eagles. Hidden amongst rocks is a covered tomb that involves you pulling yourself in on your stomach to get inside. The Orkneys have plenty of cairns (tombs) that are spread out all over the archipelago. Another famous chambered cairn is Maeshowe that was estimated in being built around 2800BC. The inside of the cairn is full of Viking ‘graffiti’ from when they were snowed in. Literally down the road is the famous Ness of Brodger where you will find the remnants of an ancient village or settlement. The Ness of Brodger is tipped to be older than the famous Skara Brae in which you can see the individual rooms of the ancient people. Next door are the Standing Stones of Stenness and the Ring of Brodger, a stone circle. To see more modern history, you can scuba dive on the blockships that were strategically sunk to avoid the German submarines during World War I at Scapa Flow. These islands were a hot spot for military action during the World Wars. You can also explore the Ness Battery, a military lookout. For those who aren’t interested in history, the boutique shops in Stromness and Kirkwall are every shopper’s dream! 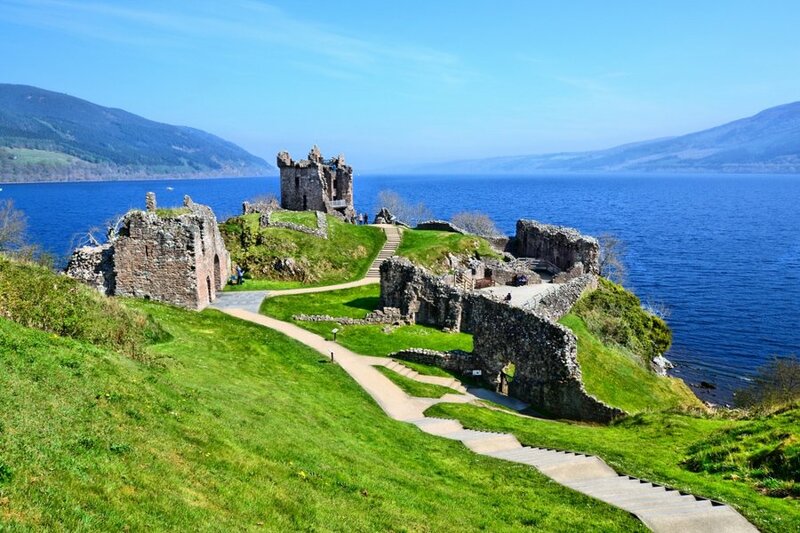 Long before I heard of Edinburgh or even really of Scotland, I had heard about Loch Ness and Nessie (the sea monster that lives in Loch Ness), so it doesn’t come as a surprise that Loch Ness (Loch means lake in Scottish) is one of the top tourist attractions in Scotland. Loch Ness is located in Inverness which is about 150 miles North West of Edinburgh and while I did a guided tour it is also easily reachable by car. Not many people have been fortunate enough to spot Nessie but you might be an exception! 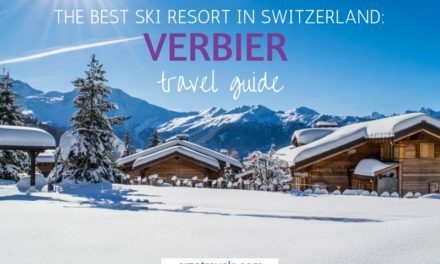 The area is also great to hike or walk around or to chill and relax. There’s also the famous Urquhart Castle (which sits next to the lake) which should also be on your list of places to visit in Scotland. If you want to get out on the water there are boat tours available. You can indulge in a relaxing day or evening cruise where you can enjoy great views, learn about the history of Loch Ness and even do some dolphin spotting! There are normally options to buy drinks too whether you want a coffee or something stronger to keep you warm in the cold Scottish weather. Anyhow, of all of the interesting places in Scotland, this is definitely one of the main attractions. For many years, Scotland’s top tourist sites have included castles, whiskey distilleries, and iconic landscapes. However, in 2016 one of Scotland’s most notorious former prisons opened its doors to the public and is now rated as one of the country’s best new visitor attractions. Peterhead Prison Museum has been dubbed Scotland’s answer to Alcatraz and visitors can enjoy an excellent audio tour while exploring the inside of what was one of the toughest prisons in the country. Originally opened in 1888, HMP Peterhead was closed in 2013. During its history, it was home to some of the most infamous prisoners in the UK including serial killers, child murderers, and gangland figures. It was also the scene of a famous riot in 1987 when prison guard Jackie Stuart was taken hostage and tortured for five days before being rescued by the SAS when they stormed the building. Jackie Stuart is just one of the former prison officers that now works at the museum and narrates on the audio tour. It is possible to speak to them about life inside HMP Peterhead as you walk around. Many areas are open to the public including a cell block, laundry room, shower block, suicide wing and solitary confinement cells. As each visitor has a personal headset, everyone can explore at their own pace. The atmospheric audio tour and museum props really help to capture how dark life could be for both the prisoners and guards in this grim place. 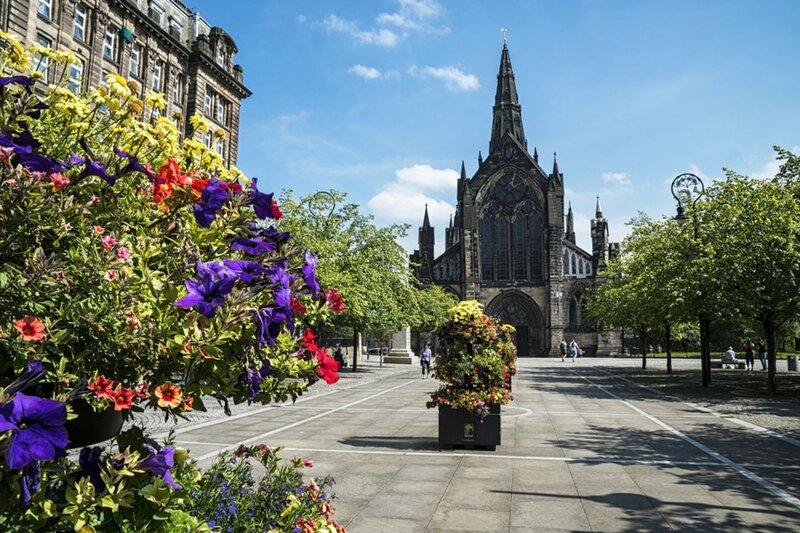 Despite being the biggest city in Scotland, Glasgow has often played second fiddle to the capital Edinburgh, which seduces with its charming castle and elegant style. But this gritty port town that lies little over an hour down the road is fighting back and building a burgeoning reputation as a ballsy, happening, cultural hub. 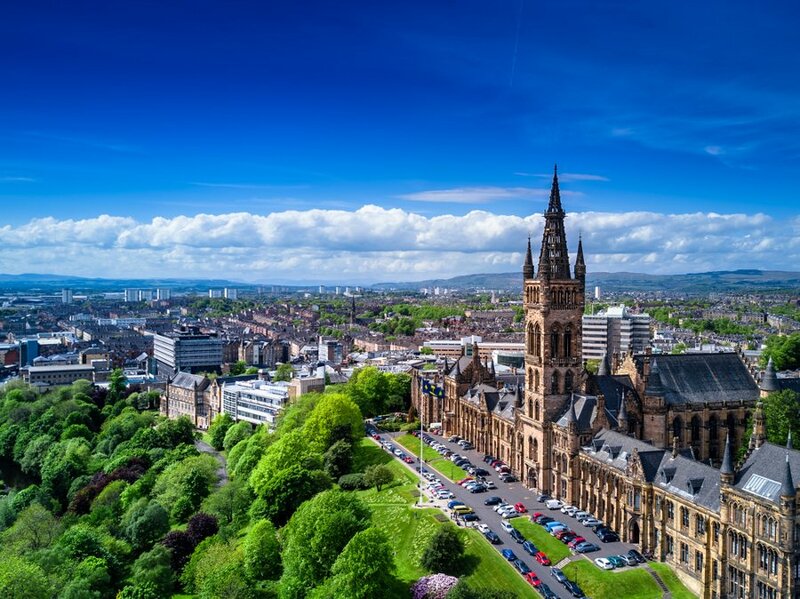 Even though Glasgow has an enviable collection of quality museums and galleries, art and design lovers will be just as wowed simply walking through the streets. Old buildings sit seamlessly alongside cutting-edge architecture, typified by the Clyde Waterfront, and outstanding street art covers swathes of brickwork along the popular City Centre Mural Trail which you can follow with a phone app. Don’t miss the acclaimed food scene in Glasgow. Much of it is centered around the Finnieston district with its abundance of small, independent kitchens showcasing their modern take on Scottish classics like haggis, cullen skink, and shortbread. For music fans, there’s a long and distinguished tradition in Glasgow, with iconic venues playing host to everything from local folk outfits to some of the world’s biggest bands each week. 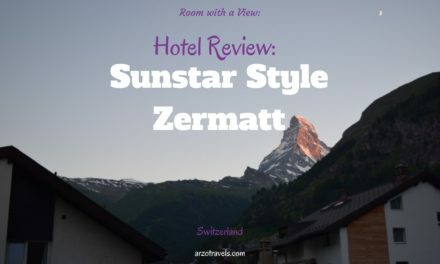 You’ll also find live music in many of the city’s trendy bars where you can sample the finest local Scotch Whiskies while listening to the tunes. 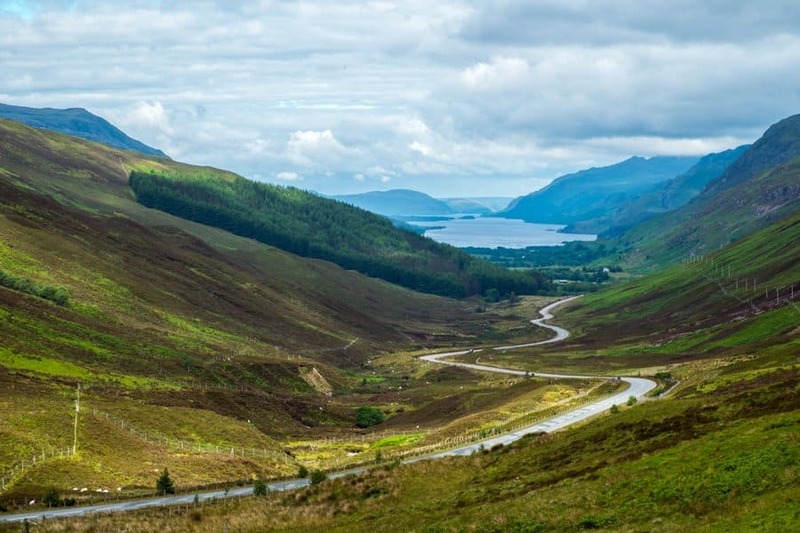 The center is small enough to explore on foot or by bicycle, but if you want to venture a bit further, head to the outskirts and you’ll soon be amidst breathtaking Scottish landscapes. Glasgow is the starting point of the world renowned West Highland Way, a 160km hike through some of the most spectacular scenery in the U.K. Rolling green hills stretch out as far as your eyes can see, vast freshwater lochs are lined with trickling waterfalls, and picturesque ancient woodlands hold the secrets of the rich history the route possesses. Scotland is simply breathtaking and it is difficult to find a place that is not stunning. 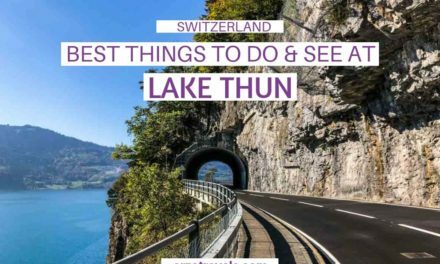 While we were planning our road trip around Scotland, there were some places that came up on the must-see list. One of them was the Glen Coe valley and to our luck, we found that it was on the road between Edinburgh and Isle of Skye. Our first view of the ‘The Three sisters of ‘Glen Coe’ was just spectacular and it looked like a place straight out of a magical fairyland. We had an option to go walking around but it was a bit too windy. Soon we headed out to the nearest big town, Fort William to catch a bite to eat. But not before seeing a magical double rainbow just before we left Glen Coe. 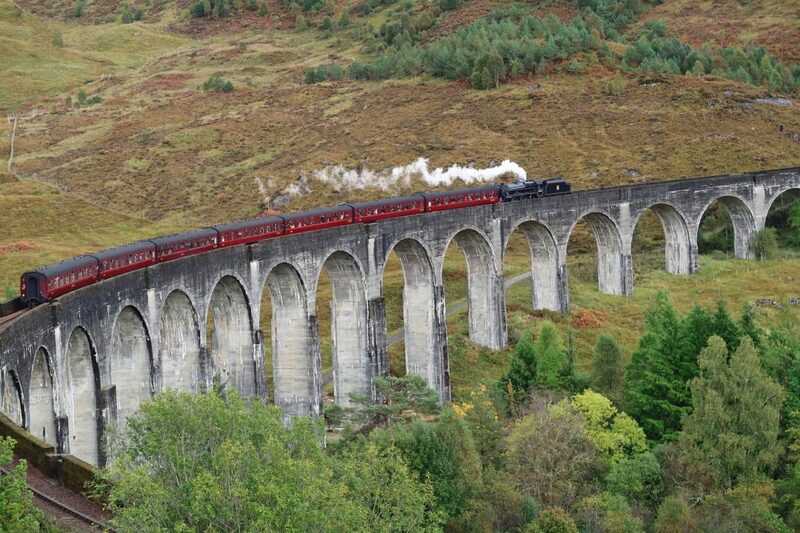 If you do have time, don’t forget to head out to the GlenFinnan Viaduct, the famous railway Viaduct from the Harry Potter movies. Have you ever been to Scotland? What is your favorite travel destination in Scotland? Let us know!